The Eunice Signature Bag has flowers cut and sewn in multiple layers of felt clustered together to make a bouquet. The Sylvia-Louise Large Signature Bag measures approximately 17x18 inches with a drop of 11 inches, 7 inches wide. The body of this bag is made of neutral striped upholstery fabric. The band and handles are reinforced with fusible lining to give added strength and stability. The flowers and leaves are made of felt and are hand cut and sewn. The pleats give this bag added dimension and definition. The size and roominess of this bag make it ideal for a diaper bag, book bag, or carry-all tote. 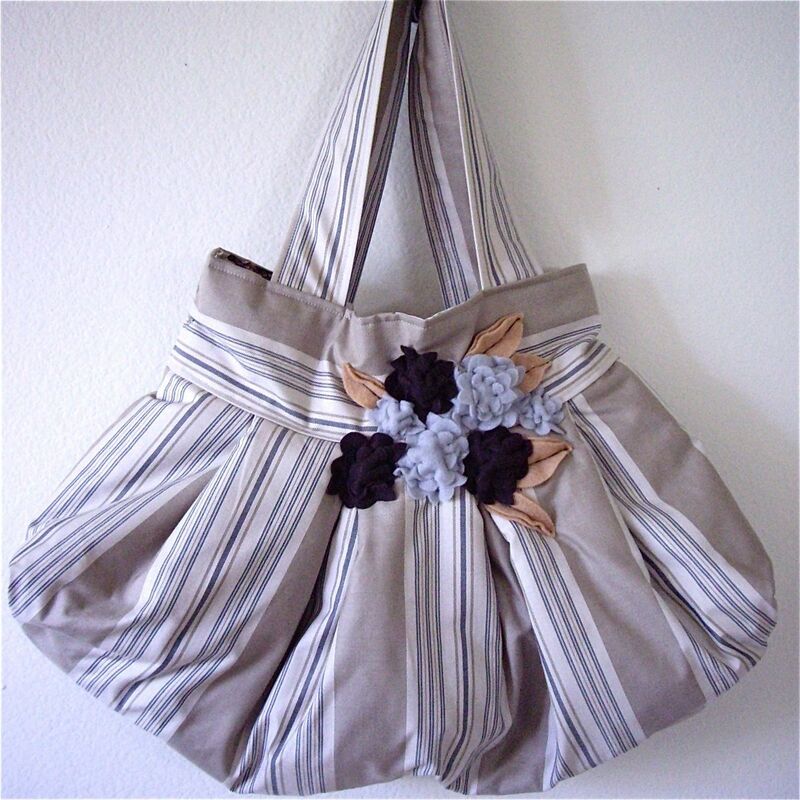 The interior of the bag is fully lined in a neutral cotton fabric, with two pockets on each side. This particular bag has 2 handles. Ready to ship. All appliques and embellishments are done by hand. Slight variances make each Sylvia-Louise bag one-of-a-kind.